Starlinger recycling technology is a division of Starlinger & Co GmbH, world market leader in the field of machinery and complete lines for woven plastic packaging production. 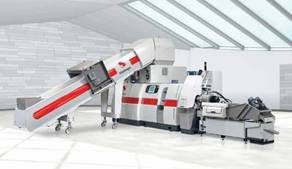 For 30 years, it has been providing machinery solutions for the recycling and refining of a wide scope of plastics. Starlinger & Co talks about saving costs through in-house recycling, thereby improving efficiency in the operational cycle and contributing eventually to sustainability. During the highly complex process of nonwoven fabric production waste occurs along the entire production chain-from start-up waste and off-spec material all the way to conversion scrap. Converting it in-house into a secondary resource helps nonwoven producers to cut down production costs by reducing their waste and raw material expenses. Nonwovens consist of different polymers and polymer mixtures, have different viscosities, and type and amount of contaminations and required filtration fineness vary a lot. Due to the fact that nonwoven production waste comes in different shapes it is necessary to recycle it into pellets to make it suitable for reuse. For this, high quality is decisive: a production stop caused by less than perfect regranulate is costly and jeopardises the economic benefits of processing and reusing the production scrap. The lack of quality control in case of tolling recycling very often prevents nonwoven producers from using recycled material. In-house recycling, on the other hand, helps a nonwoven manufacturer to control the quality of the regranulate through one's own materials management. To ensure the production of high quality regranulate-which is a prerequisite for improving cost efficiency and the stability of the production process-an analysis of the input material and the right choice of equipment is paramount. Waste reduction, cost saving, sustainability: already more than ten years ago, these were three major reasons why nonwovens producers decided to recycle their production scrap. In 2003 and 2004, Starlinger recycling technology installed two of their first recycling lines for nonwoven production scrap at the nonwovens producers Don & Low, a member of Thrace Group in Great Britain, and Softbond in Argentina. In 2014, Global Nonwovens, India, made a Starlinger recycling line part of the equipment in the new nonwovens production plant that has been set up in the Mumbai region. "We aimed to recover the cost of polypropylene by re-consuming the scrap in-house or selling the recovered waste in pellet form to consumers in the industry," said Keith Galloway, general manager at Don & Low Ltd Nonwovens. "Second, by recycling we can reduce or even eliminate the amount of polypropylene waste that goes to landfill." he added. Alessio Romanelli from the general management of Softbond confirmed this. 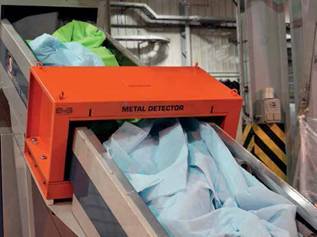 "Our target was to add value to the scrap from our main production lines. We use about half of the recycled polypropylene again in our mainproduction process and the rest we sell to local injection moulding companies," he said. Both companies were able to meet the strategic targets by achieving cost saving for the company and its customers, and meeting the set environmental goals. According to Don & Low, the latter have become increasingly important: some of their customers specifically ask for recycled content in their product, a requirement Don & Low can meet without problems. Sustainability was also one of the reasons why Global Nonwovens decided to include a recycling line in the setup of their new nonwovens production plant in Nashik, Maharashtra. "It improves efficiency in the operational cycle and contributes to sustainability," the company said, and added that "with the effective utilisation of resources in mind, recycling is an important factorregarding the internally generated waste." 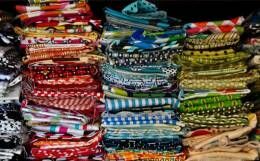 The range of nonwovens scrap is wide, and its shape varies greatly. To make it suitable for reuse, it is necessary to recycle it into pellets like virgin resin. The quality of the regranulate, as mentioned earlier, is very important: a production stop caused by inadequate regranulate is too costly, and jeopardises the economic benefits of recycling and reusing the production scrap. Softbond manufactures polypropylene nonwoven cloth in various weights in a spunbond process and recycles almost all of its production scrap. The Starlinger recoSTAR universal 65 recycling line installed at their production facility is running around the clock, seven days per week. The nonwovens scrap is fed loose via a conveyor belt into the single-shaft cutter. The line produces 3,000 kg of polypropylene regranulate per day in offline operation. Softbond reprocesses between 30 tonnes and 40 tonnes of the recycled material in the nonwovens production process; the rest they sell on the market. 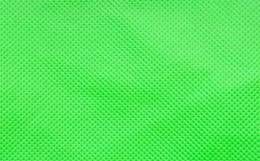 Don & Low, a producer of woven and nonwoven polyolefin technical textiles for the construction, agriculture, industrial, medical and consumer sector, also recycles all of its polypropylene spunbond scrap. It stems from nonwoven products made for applications like construction, furniture and bedding, carpet tile backing, and also includes composites that contain polypropylene materials other than spunbond. The recoSTAR universal 65 in use at Don & Low is equipped with a reel feeder that is directly mounted on the single-shaft cutter. 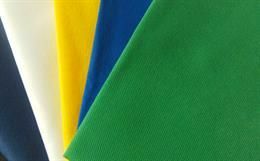 Different types of nonwoven scrap in different colours and sizes are processed; a master batch dosing unit adds the final colour for the regranulate in the recycling process, depending on the colours of the input material and the required final colour. The line is in operation five days per week on a three-shift system and produces high-quality regranulate with very little melt shift at a rate of 120 kg per hour. "Depending on applications and physical specifications of the product, we can add up to 50 per cent recycled content to our spunbond lines without loss of conversion efficiency," Galloway explained. Recycled material which is not used in the nonwovens production process is sold to converters for downstream products such as plant pots. Global Nonwovens, in turn, caters to the hygiene sector and produces different types of SS (spunbond-spunbond) and SMS (spunbondmeltblown- spunbond) fabric. 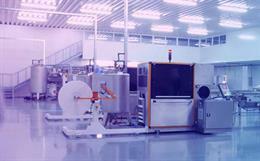 The recycling line installed at Global Nonwovens is a recoSTAR universal 105 VAC. It is equipped with a nip roll feeder and features an additional dosing unit for compounding-an option for value-adding-as well as a corresponding big bag unloading station. The production output ranges between 380 - 480 kg per hour. The line processes spunbond and spunbondmeltblown- spunbond polypropylene production scrap in the weight range from 40 - 200 g/m. Global Nonwovens reuses part of the recycled granulate in other business areas and sells the rest on the market. It's all in the melt: to ensure high-quality regranulate, Starlinger recycling systems are equipped with an extruder vacuum unit. It extracts volatile contaminants-spin finish, for example-and reduces viscosity loss in the melt. A variety of melt filtration systems ensure clean, high-grade melt: melt filters with and without backflushing, power backflush filters and continuous rotation filters are the most common. The choice of filter type and size depends on the type and amount of contaminants. A specially designed cascade filtration system enables very fine filtration down to 25 ?m to meet the high requirements in the fibre industry. A choice of pelletising equipment can be supplied, depending on viscosity, preferred shape of regranulate, and required grade of automatisation. Optionally for PET/PES, crystallisation equipment and solid-stating reactors for IV (intrinsic viscosity) increase are available.